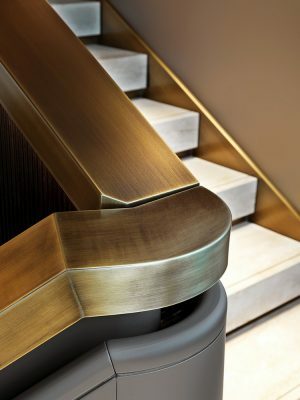 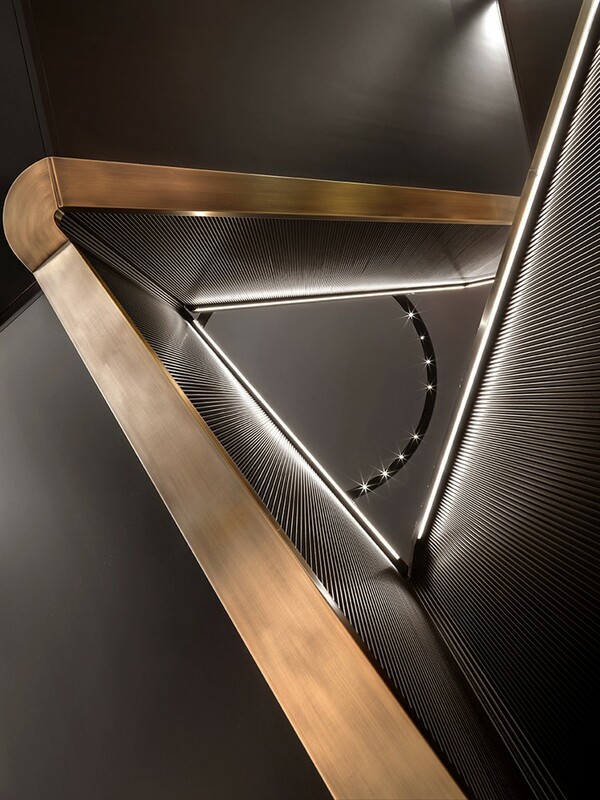 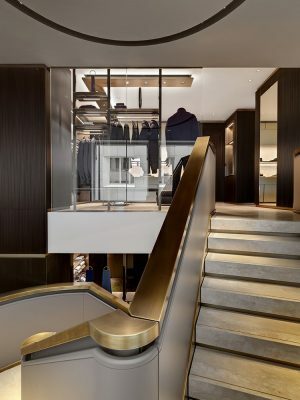 The new Brioni Concept Store worldwide, designed by Park Associati in collaboration with the creative director of Brioni, Brendan Mullane, declines the classic masculine elegance of the brand through a language, taking inspiration from the great masters of Italian design such as Franco Albini, Gio Ponti, Carlo Scarpa Carlo Mollino, combines formal elegance and modernity. The distribution of the various product areas expressed in these spaces the classical division, designed by Park Associati to maximize the brand’s products, and correspond to the expectations of the customer to welcome the customer in an elegant and linear space, in which the materials enhance their classic taste of a brand that was born in the city of Rome, the heart of European classicism. 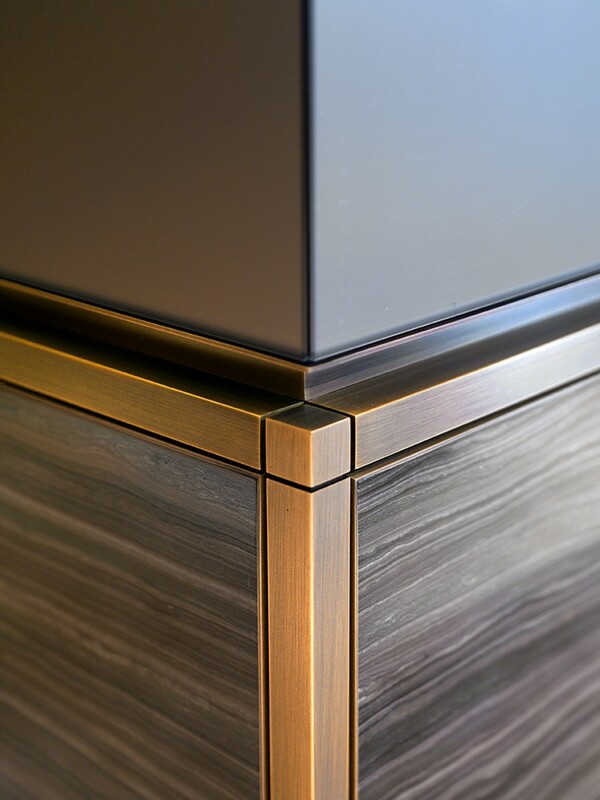 It was deliberately chosen to use fewer materials, with careful attention to detail in order to communicate a discreet luxury and precious. 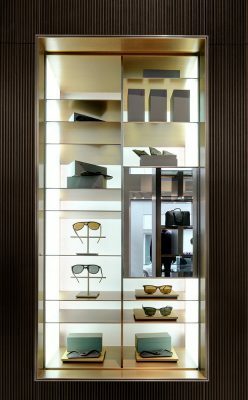 The walls are cladded in ‘cannucciato’ wood panels joined with brass trims and incorporate alcoves that form the principal display elements. Their internal configuration and dimensions can be adapted to suit a variety of display requirements. 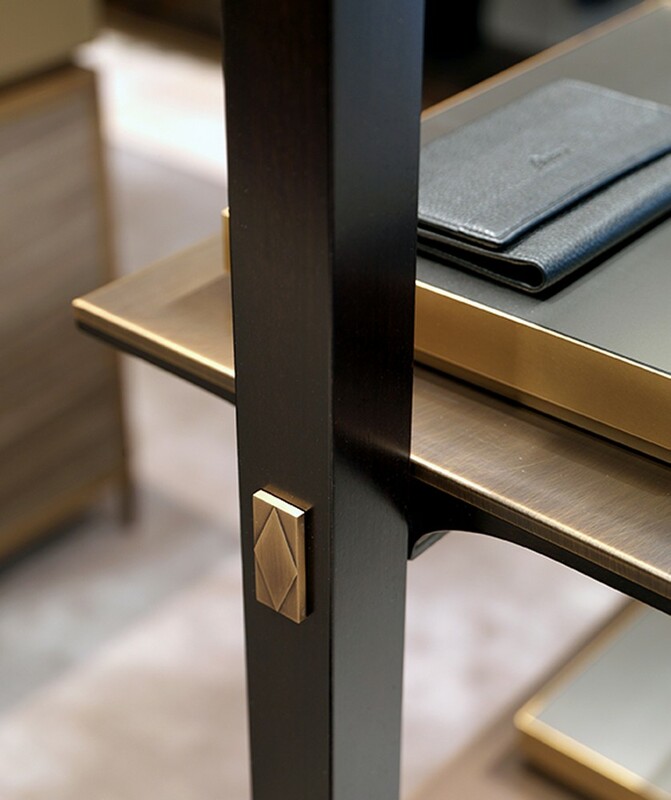 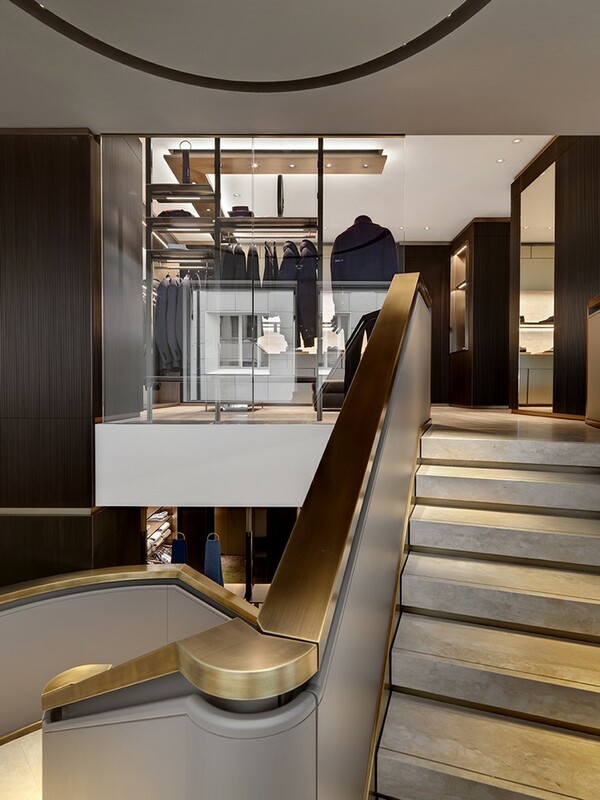 The concept of exclusivity is further emphasised with the VIP room that will feature in the larger shops, customised with unique furnishings that relate to the location of the shop. 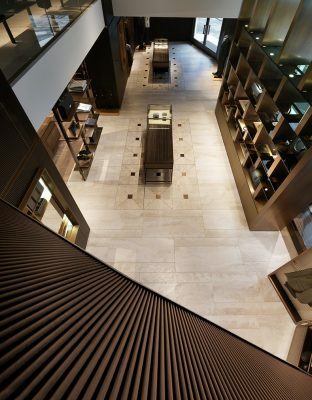 The two-storey boutique of Frankfurt is the largest in Europe after the one in Milano. 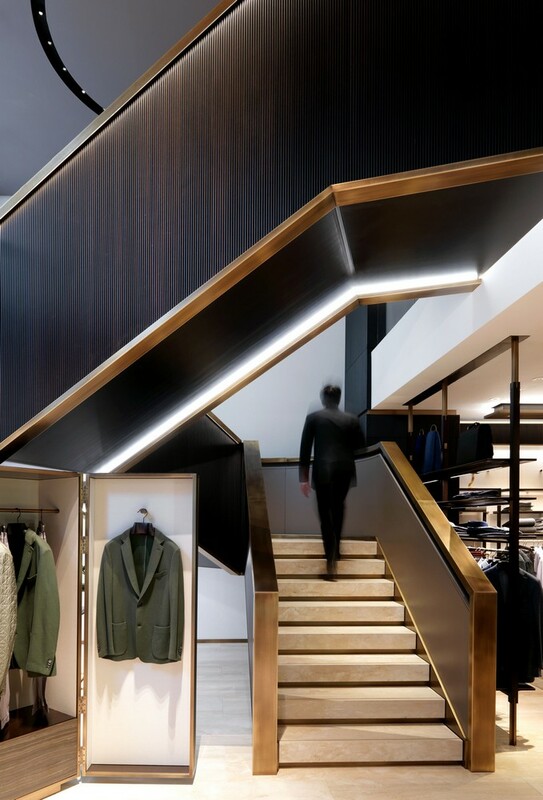 Ground and firstfloor are connected by a stair, real architectural element that characterizes this store. 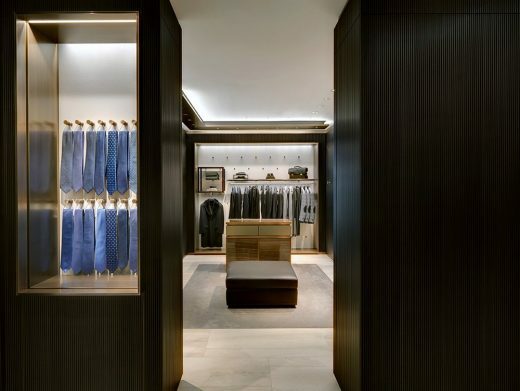 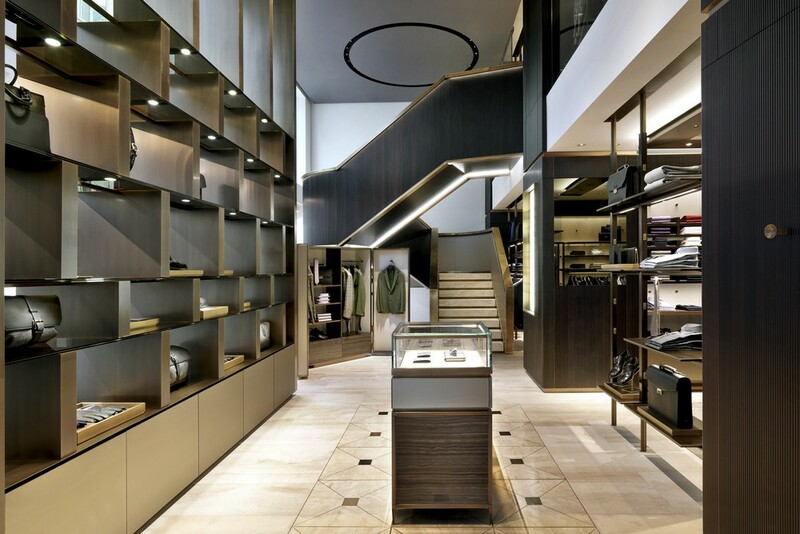 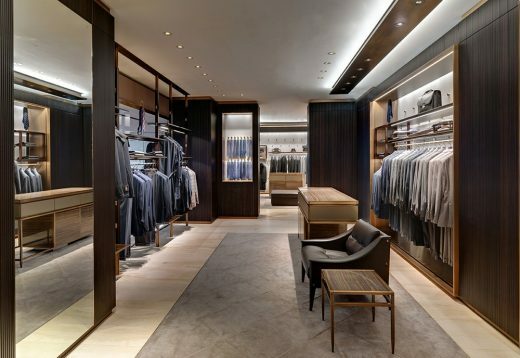 Park Associati realized the concept of all newly opened Brioni boutiques worldwide: Frankfurt, Zurich, Hamburg, Munich, Berlin, Courchevel in Europe; New York, Palm Beach, Dallas, Las Vegas in the USA; Santo Domingo in the caribbian area, Beijing, Singapore, Bangkok, Macau, Tokyo, Jeddah, Doha in Asia; Johannesbourg in South Africa.